Here you can get the March 2015 Odia Kohinoor Press Calender. We have published a copy of the Odia Kohinoor Press calender of the month of march 2015. You can get the holiday list of March 2015, marriages in march 2015, Bratas in March 2015 etc. 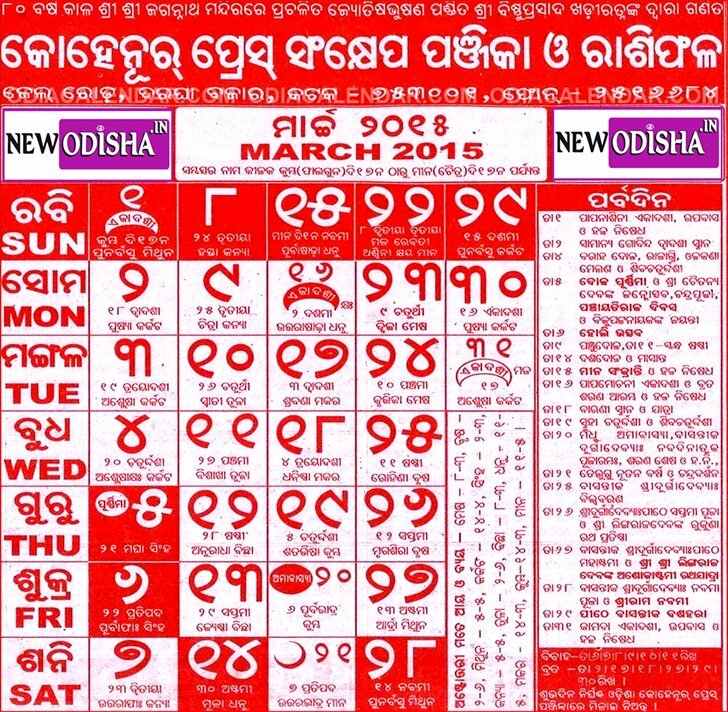 See the below image of March 2015 Odia Kohinoor Press Calender. If you want to download this calender, then just save this image. Give Responses for "March 2015 Odia Kohinoor Press Calender Download"